n this beautifully illustrated collection of interviews, fifty contemporary artists discuss the artworks that inspire them from museums around the world. Imagine your favorite artist leading you through a museum to the very work of art they can't stop thinking about. That's the experience at the heart of It Speaks to Me. 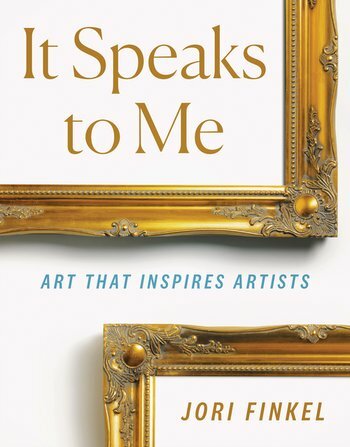 In lively and intimate interviews, 50 acclaimed artists share the compelling details that make an artwork memorable and meaningful to them. Highlights include: David Hockney on Edgar Degas, Shirin Neshat on Alice Neel, Marina Abramovic on Umberto Boccioni, Ai Weiwei on a Shang Dynasty jade, Nick Cave on Jasper Johns, Judy Chicago on Agnes Pelton, Luc Tuymans on van Eyck, and Gillian Wearing on Rembrandt. Together these artists bring to life a wide range of museum pieces, from celebrated masterpieces to little-known gems, or from a Rembrandt self-portrait to a 21st-century social-protest drawing. In the process they remind us of why we look at art at all: to share in the spark of creativity that can jump from an artwork across countries and centuries and to experience the extraordinary sensation of being inspired.